It is recommended by the American Association of Orthodontists (AAO) that children see their orthodontist by the age of 7. At this point, the orthodontist will determine if the child’s jaw or jaws are growing asymmetrically or if there is excessive crowding of the existing permanent and/or primary teeth. If that is so, then the child is a candidate for interceptive treatment (Phase 1 Treatment). Phase I Treatment is typically performed anywhere between 7-10 years of age. It is a limited treatment designed to correct skeletal or acute dental discrepancies at a young age. It usually lasts about 12 months. An early consult results in more treatment options, helps avoid lengthy treatments and minimizes the extraction of permanent teeth later on. If interceptive treatment is not required, then the child will be evaluated about every 6 months by the orthodontist who will monitor (by looking in the mouth and at the necessary x-rays) the eruption of the permanent teeth and the growth of the jaws. As there is no exact age when comprehensive treatment begins, most children will get their braces on when they still have between 1-3 primary teeth in their mouth. Average treatment time is 24-27 months. At the end of treatment, all patients will get retainers which they will wear to ensure the retention of their beautiful smile. 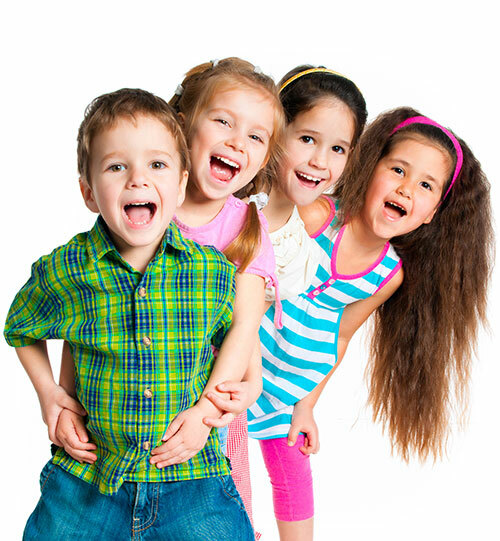 Interested in an orthodontic evaluation for your child? Please complete the form below and we will be in touch to schedule an appointment at your convenience.